I recently posted about my little win from Becca's blog and this was part of the prize. 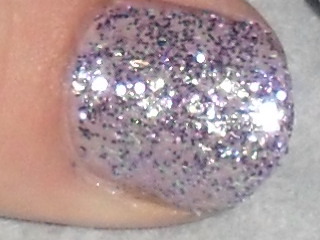 China Glaze Marry A Millionaire. I have never owned a China Glaze polish so I was very excited to test it out! I decided to use a neutral base colour a Nails Inc mini (unsure of the shade name). I applied 1 coat of the Nails Inc and then 1 thick coat of the China Glaze, it is stunning, I have tried my best to take pictures but it's so glittery it's hard to get a great picture. The glitter comes in all shapes and size including bar strands in a sparkly green colour which really compliments the purple! I found this polish quite thick compared to OPI (I posted about OPI Save Me here another glitter filled polish) but this was not a bad thing as I only needed one coat, if I didn't wear the Nails Inc underneath I think the thickness may have been a problem as I would have had to build it up quite a lot, but that aside I love it. Becca picked such a stunning shade!! Have you used China Glaze? Are they all thick or is it just the glitter shades? The pictures don't do it justice it's much prettier in 'real life' haha! I only have glitter China Glazes but i've got to say i do love them! This is gorgeousss <3! I am so glad Becca picked this shade as my first ever China Glaze polish it's devine!! No, I have not tried China Glaze. However, that is a lovely shade of purple (my fave color). Congrats on your prize. Thankyou Sharon! It's a lovely shade, very very pretty. I have heard so many good things about China Glaze, can't believe I have never tried it before! Latest in Beauty Fragrance Discovery Box - £4.95 Delivered. Suddenly Madame Glamour - A Chanel Dupe? Chanel - I Won't Be Lusting After You Anymore! 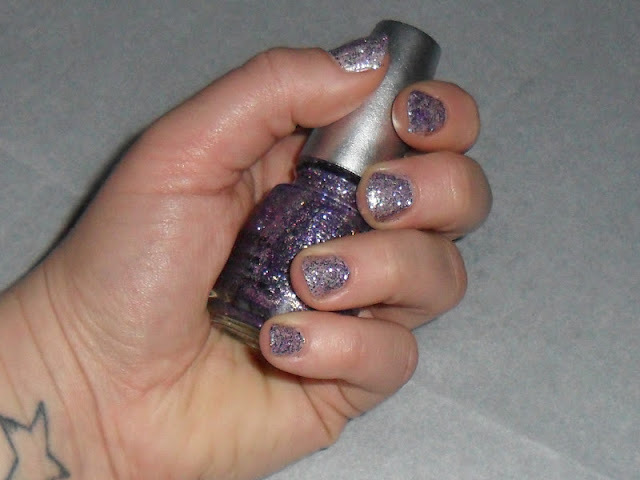 Fantastic Nail Polish At A Fantastic Price!